KMs: 2200 The 2014 Ski-Doo MX Z TNT 800R E-TEC, with 160 HP. Come see this one today. Very low kms and clean. Payments as low as $32.00 a week. Contact us for details. 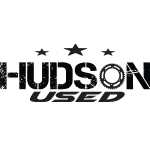 Call Hudson Motorcycles today. 519-682-2430.